2018 Jeep Grand Cherokee Trackhawk: Is This The Perfect Off Roader ? Powered by a 6.2-litre supercharged V8, it can shoot from 0-100km/h in just 3.6sec, and has a top speed of 290km/h. Pretty impressive for a 2500kg SUV! 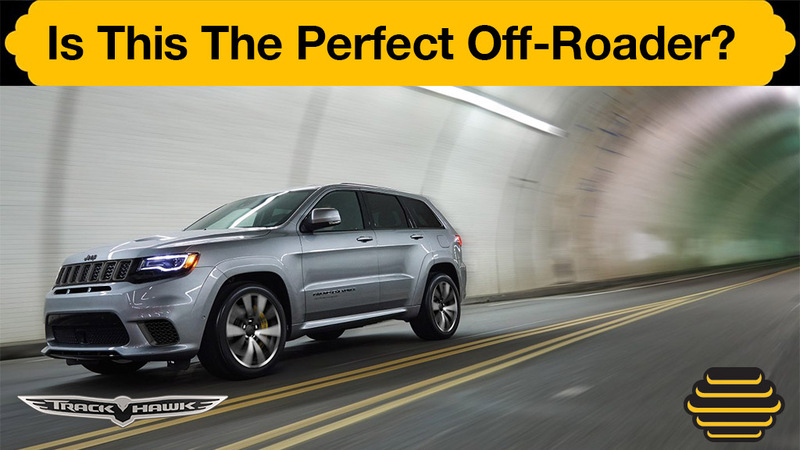 With over 700 horse power for track-inspired performance, this is not your average SUV. But expect to pay six figures for this top of the class Jeep as it sits in the same range as Porsche Cayenne Turbo, Range Rover Supercharged or Mercedes-AMG GLC 43. Check out the race – inspired interior. Grand Cherokee Trackhawk is already very successful in America, and Australia will probably be the second biggest market for the car. This is currently the most powerful and quickest SUV on the market.